It’s fair to say that the rollout of iOS 9 on Wednesday wasn’t exactly the seamless introduction that Apple wanted it to be. In all fairness, it certainly wasn’t the worse of most troublesome release that we’ve encountered, but it certainly managed to cause a fair bit of concern for users around the world, and still appears to be doing so. If you managed to get past the “Software Update Failed” error when trying to download the update over-the-air, then there was the potential of getting stuck at the “Slide to Upgrade” screen that forms part of the process. If this is affecting you, then read on for the fix. We say there was the “potential” of getting stuck at that particular point because thankfully it seems that although the issue does exist, it doesn’t appear to be affecting users in droves. With that said, it’s clearly still an issue and has the potential to cause panic for those experiencing it due to the device actually becoming entirely unresponsive. As you might expect, when a problem exists there is generally a way to fix it, and in this instance, the fix appears to be a restore from an iTunes backup. The guide will assume that you have already taken a local backup of your iOS device via iTunes. Please note that an iCloud backup would not prove to be of any help here. Step 1: Connect the affected iOS device to your PC or Mac using the provided cable and launch the latest version of iTunes. If you do not have iTunes installed, grab the latest version for Windows or Mac from here. Step 2: Using the interface of iTunes, select your device from the connected hardware list. If the device is undetectable due to its installation state then it becomes necessary to force reboot the hardware by pressing and holding the Sleep/Wake and Home button together for around 10 seconds until the Apple logo appears on the screen. Step 3: Now you simply need to restore the iTunes backup of your device that you made prior to attempting to install iOS 9. Simply hit the Restore Backup… button and locate the backup file to begin the restoration. The problem may not be big enough to cause huge concern, but then again, those without an iTunes backup would have borne the brunt of this bug. It has now caught the attention of Apple who have felt the heat and the need to publish an official support document for the issue. Hopefully this will resolve the issue and let you get on your merry way with all that iOS 9 has to offer. 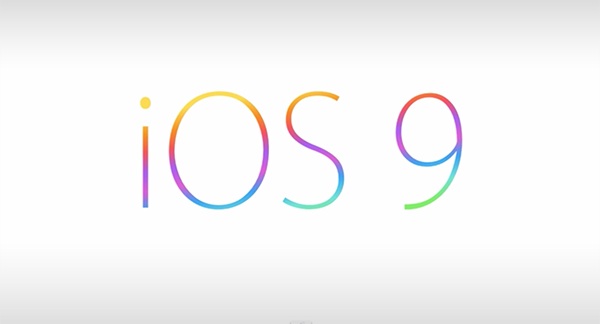 Now we can’t take it anymore apple remove ios 9 with immediate effect and start signing ios 8.4. Apple has kept a bug everywhere in ios 9. Its high time to revolt. I managed to get to the restore part but then it ask me to turn off the “Find my IPhone” in my phone!!! But if I have no access to it I cannot do it! Say what? Settings : iCloud: Find My iPhone. What if I don’t have back up on my previous OS on itunes? How can I downgrade from ios 9 to ios 8.4.1? How can I fix this problem cause I’m stuck on “slide to upgrade screen”? I gave up. Went back to 8.4.1. Even then the whole process took a long time and I’m grateful I’d backed the iPad on my computer and backed up my computer through Time Machine. I ended up using a backup from two weeks ago. What a huge waste of time. I love Apple products but their upgrade procedure is flawed.